Chicago native Dajae is one of the undisputed vocal queens of house music. 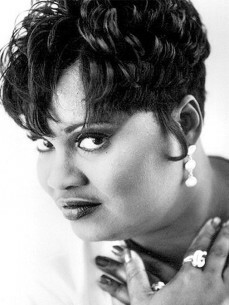 Appearing on the house music scene in the early nineties, she was one of the key drivers in the success of the Cajual label, linking up with renowned producer Cajmere to make classics such as ‘Brighter Days’, ‘U Got Me Up’ and ‘Is It All Over My Face?’ Dajae has constantly been in demand as a vocalist since then. Over the years Dajae as arguably produced the finest performances of her career. The Junior Sanchez produced ‘B With U’ was the debut release on Roger Sanchez’ R-Senal label and later licensed to Manifesto Records for the UK. The E-Smoove produced ‘Time’, signed to Credence Records was closely followed by the summer anthem ‘Everyday’, a collaboration between Felix da Housecat and Junior Jack released by Defected. To top things off she teamed up with the peerless Full Intention to make ‘What Do You Want?’, the most successful release so far from Essence.